Not exactly at the same time, however. Petit Tabac was where Elizabeth set fire to Jack Sparrow's rum in the Pirates of the Caribbean. The same beach. I think Bob is hoping that not all the rum casks were burned! To get to Petit Tabac we had to dinghy around Baradol and find the cut in the reef, marked by 2 small buoys. 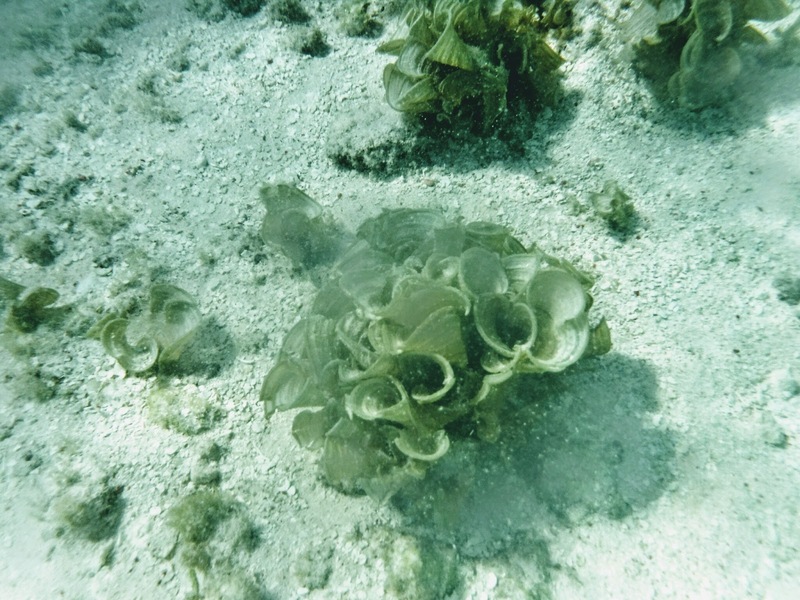 The cut in reef is the only spot that the waves are not crashing over the reef. 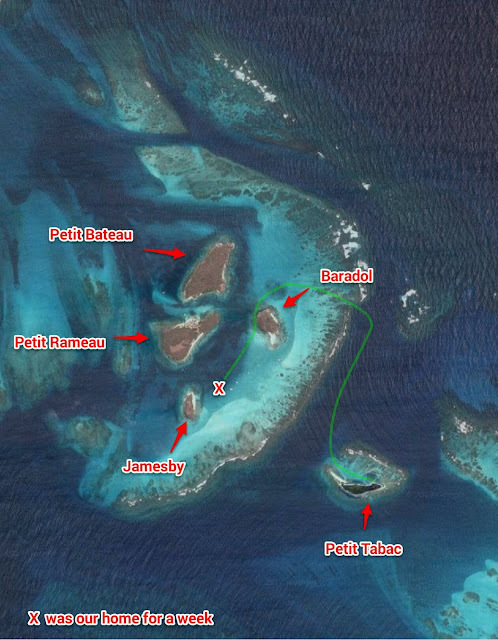 The green line is the path we took in the dinghy. There is normally good snorkeling around Tabac, however the day we went was the day that a fresh crop of Sargasso drifted by. Thick and brown, it gets in the way, and is also very uncomfortable to swim through, its edges are very rough to the touch. 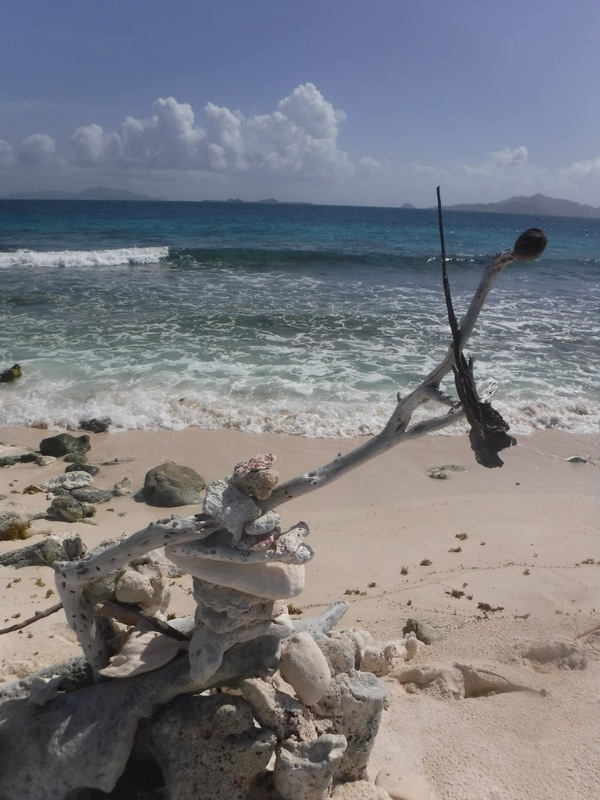 At the other end of the island from the rum burning were some fun beach sculptures, so of course we had to add to them! This was the end of our stay at the Tobago Cays. 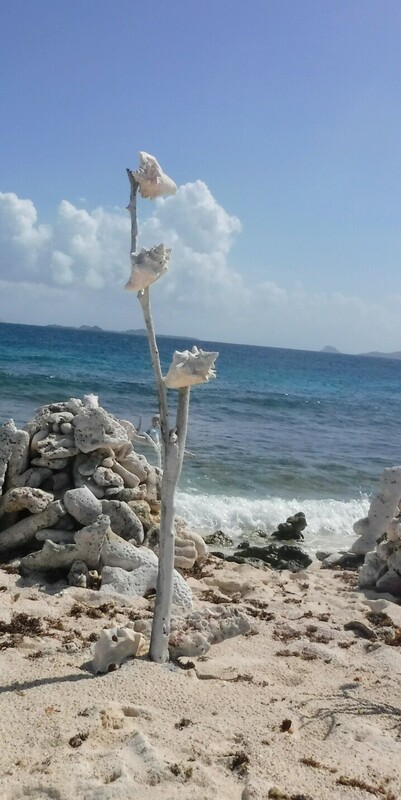 One conch, two conch, tree conch.